Home > Bicycle Tourism > #BikeTourism Meet the Proponents at the Scenic Bikeway Event! #BikeTourism Meet the Proponents at the Scenic Bikeway Event! 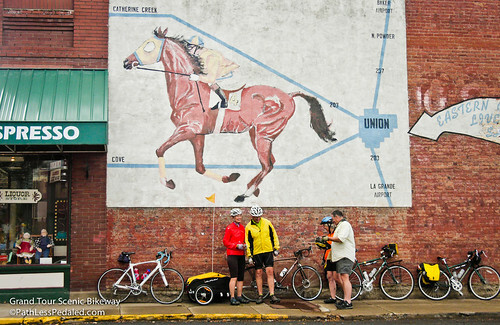 One of the most unique facets of the Oregon Scenic Bikeways is that each route has a proponent group. A route isn’t just designated by the state, rather there is a long application process that requires a group of local supporters to not only propose a route but help create a management plan. While filming the Scenic Bikeways last year, we worked closely with many of these proponents. It was important for us to hear what they saw as the best features of their routes, so we could communicate it in our videos. On a more practical note, the proponents are also a tremendous wealth of knowledge about the local area. Want to know where to find an IPA out in Heppner? Curious if the “U-Pick” orchard in Kimberly is open for the season? Looking for some good gravel riding in John Day? The proponents know. They can also tell you the best season to ride, where to find water in the middle of nowhere, who makes the best hamburger in the county, and a hundred other details that won’t fit on a printed map or in your GPS. We are lucky that many of the proponents from different parts of the state will be joining us for the Travel Oregon Scenic Bikeway event! They’ll be wearing something special so that they stand out (we haven’t figured it out yet, but we’ll announce it that evening). 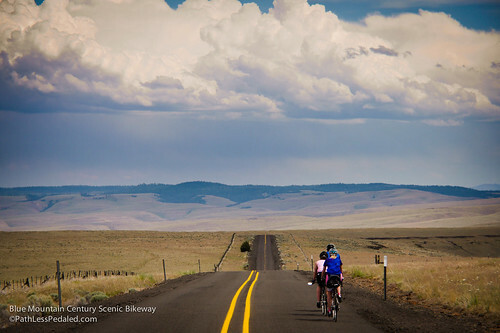 We can’t overstate what an incredible opportunity this is to get insider information about planning your trip, and to meet the folks who are supporting cycling in Central and Eastern Oregon. It’s also a great opportunity for the proponents to hear from potential visitors. If you’re in the Portland area (and beyond! ), we hope you can join us. It will be an awesome event, bringing the Scenic Bikeways to you!